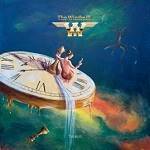 More information: The Windmill are a Norwegian progressive rock band formed in 2001 in the outskirts of Oslo. The music is symphonic neo prog influenced by several bands from the golden years of the seventies, such as Genesis, Pink Floyd, Camel and others. The debut album "To be continued ..." was released May 2010,and the follow up "The Continuation" was released in 2013 to great reviews around the world. Now, after 5 years, The Windmill are ready to release the new album "Tribus"!